When Ryan proposed to Hannah, he enlisted some very special helpers. Ryan chose our diamond set Jiya ring for his surprise proposal to Hannah. Jiva (meaning heart in African), is a contemporary Emerald Cut Solitaire. 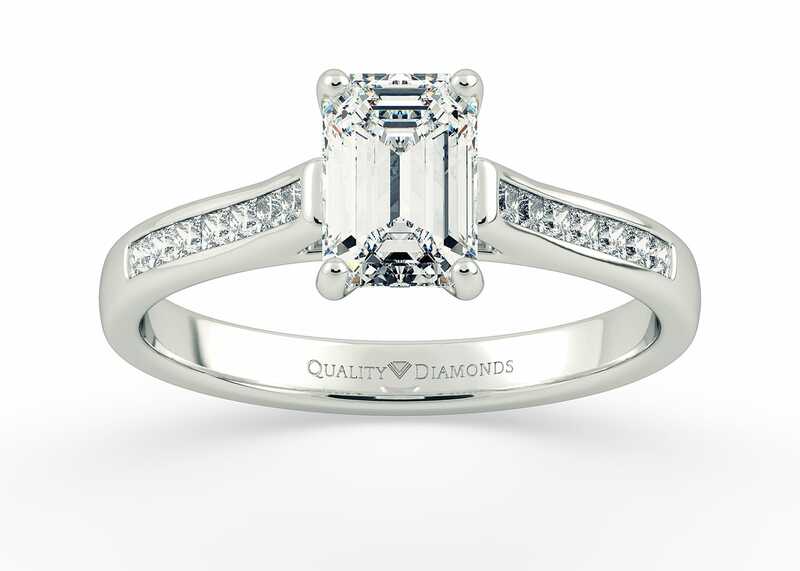 The Emerald Cut diamond is held in a Four Claw setting with Channel Set Princess Cut Diamonds set in to each shoulder. For the actual proposal, Ryan enlisted some very special helpers. Evie delivered the ring, and Elliott hid the message!